Ballantine's, the Pernod Ricard whisky, has announced a global branded content partnership with online music channel Boiler Room, as part of a plan to create online documentaries and one-off events. The ‘Boiler Room & Ballantine’s Stay True Journeys’ project aims to "discover and celebrate the stories of the world’s most vibrant music scenes – from the characters who defined them, to the pioneers that are driving them forwards". Produced in association with M&C Saatchi Sport & Entertainment, the centrepiece of the project will be the creation of a series of online documentaries, shot on location and featuring local musicians from around the world exploring the stories behind different music cultures. A series of one-off, local events will also be staged throughout the year in the places profiled in the documentary content, featuring a mix of established and emerging talent, as well as some notable international names. Tickets to the events will be exclusively available via Ballantine’s and Boiler Room channels, with a global audience able to tune-in live online via the microsite, Boilerroom.TV/StayTrue. The first ‘Stay True Journey’ will take place in an as yet undisclosed location in Mexico in March, with further destinations already lined up across three continents. Peter Moore, global brand director for Ballantine’s, said: "Boiler Room is a natural partner for Ballantine’s. They’ve consistently delivered the most credible live and streamed music experiences to music lovers across the globe and, as such, epitomise the Stay True values of our brand. "At a time when music is all too often viewed as disposable, ‘Stay True Journeys’ allows us to immerse fans in the stories which lie behind the world’s most exciting and authentic musical talent," he concluded. Blaise Bellville, founder and chief executive of Boiler Room, said: "This project is going to allow us to capture and share the best of these stories, from all over the world." 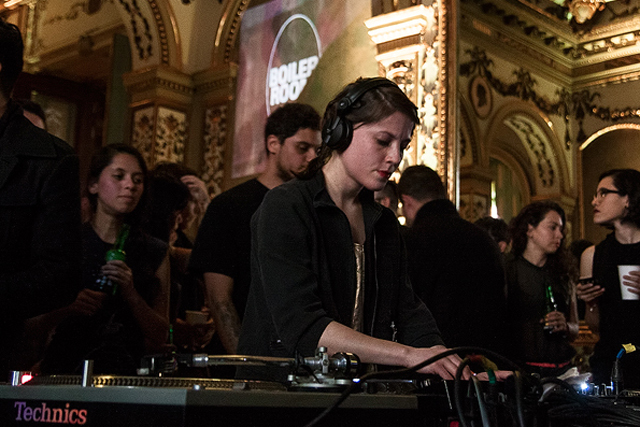 Launched in a warehouse in Hackney, East London four years ago, Boilerroom.tv now has more than six million monthly viewers and a million-strong social community. Boiler Room and Ballantine's present Stay True Journeys from Boiler Room on Vimeo.